I recorded the Telugu version of the song today and was able to get the proper version from Ramesh Vinayakam sir. I am also trying to get the video; I have not able to lay my hands on so far. I hope it will come soon to this blogspot. Hi akka! good to know that the song has been recorded in Telugu as well..is this the first serial title track sung by you in 'Telugu'? Chinmayi akka,why don't you post the songs you'd sung in concerts as well,in your audioblog? 'Cause we'd be happy enough to hear the songs of other singers performed in your voice..Kindly consider this if possible.. TIA.. Thanks a lot for this job. Can you please upload Simran Thirai song also. Coz. people like me who are in some places in GCC (Saudi) could not get Jaya TV to watch & listen it. I wasn't aware that you had sung Mayya Mayya. Correct me if I'm wrong, I was under the impression that it was a toronto based singer called Maryem something. As for this song, it's definitely something I haven't heard from you. A very rustic feel to it. I haven't heard much of ramesh vinayagam compositions after nala damayanthi. Is there anything in particular you would suggest? Great song to listen ! Cheers. hav been a big fan of you right from the start.....all the best..
How r u doing? This Song is amazing, whata style....Keep up the Good Work! 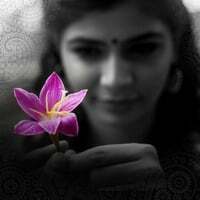 Chinmayi,im 25years now, i love to sing, but i haven't learnt music. my friends say i have a good voice...Is it too late to start learning music now..